Are you ready for the brand new season? Over here in the UK we're starting to get a bit excited about the looming start to the new season. Manchester City somehow managed to cheat their way to victory against Chelsea in the Community Shield match last weekend, and this re-stoking of passions has got us thinking about the dependable release of a new FIFA Soccer. Here are the features we're most looking forward to in the next mobile edition of the best-selling franchise, due out next month. 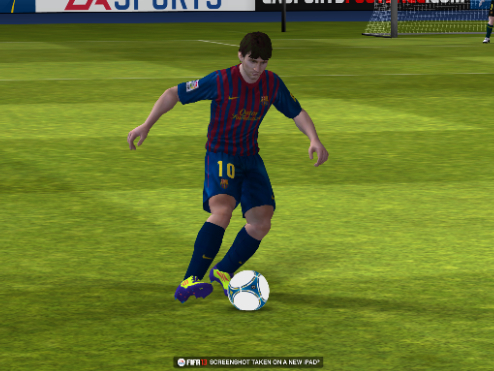 Previous FIFA games have always looked good on mobiles, but you can expect a whole new level of graphical fidelity in FIFA 13. Not only that but you'll be able to choose from a much wider variety of stadiums, select from more weather conditions, and also pick the time of day for your match. As well as making the graphics a little bit shinier for this new release, we've also been promised two new skill buttons for the mobile version. There'll be a new defensive trick that allows you to call in a second defender with just a tap, and you'll also be able to quickly adapt team tactics as the situation on the pitch changes. 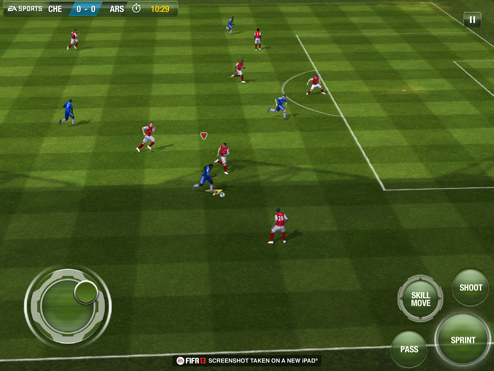 Intriguingly, you'll be able to tinker with your console FIFA experience on your mobile. 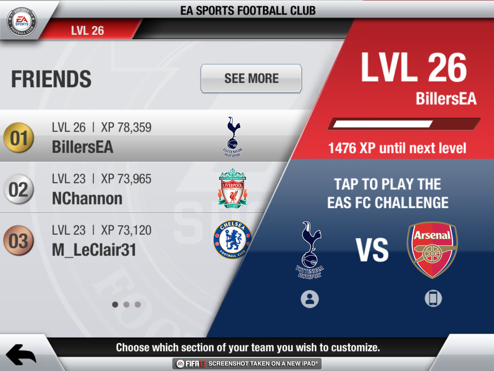 EA is introducing a new version of EA Sports Football Club, where your performances on your phone are tallied up with those on your Xbox or PlayStation 3. You'll also be able to participate in player auctions anywhere, right from your touchscreen. Performed the perfect header? Have you slotted in the kind of long-distance shot that even the most forgiving physics engine in the world would laugh it? Soon you'll be able to upload your finest moments directly to YouTube. There'll also be an instant replay function in the game, complete with a customizable camera so you can view the action from any angle.